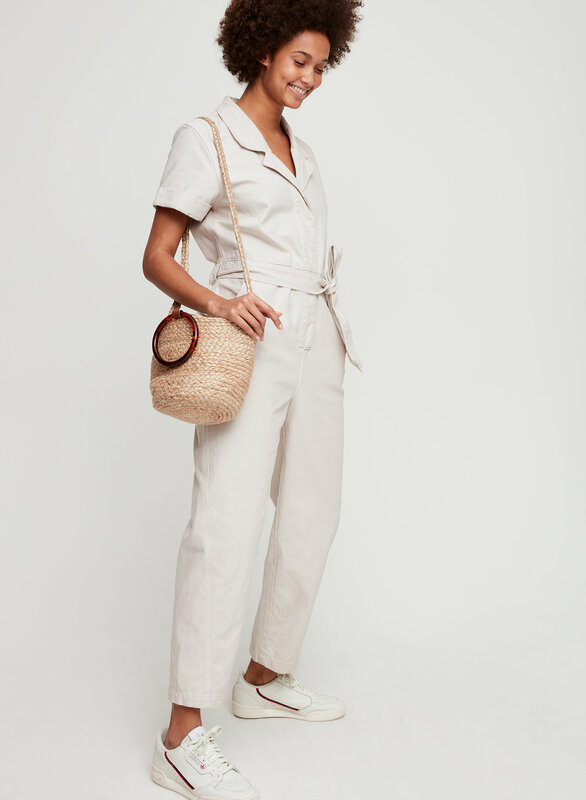 Styled with renny jumpsuit . 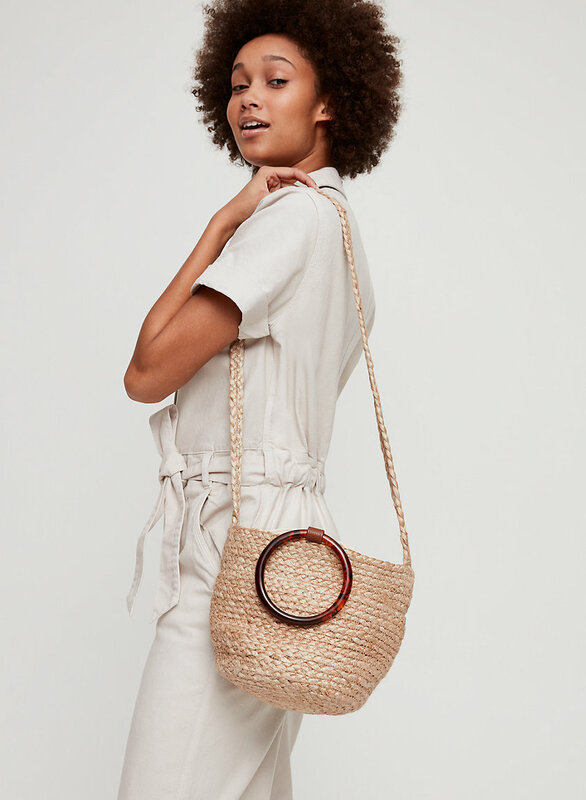 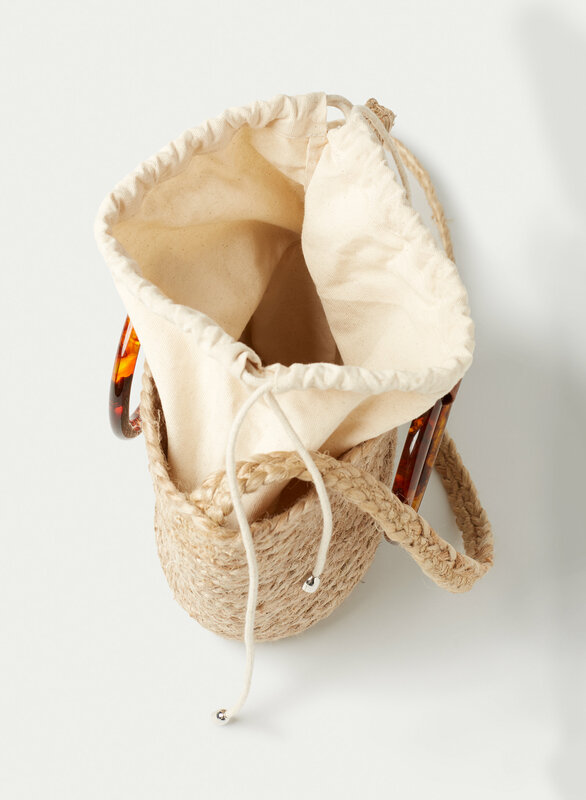 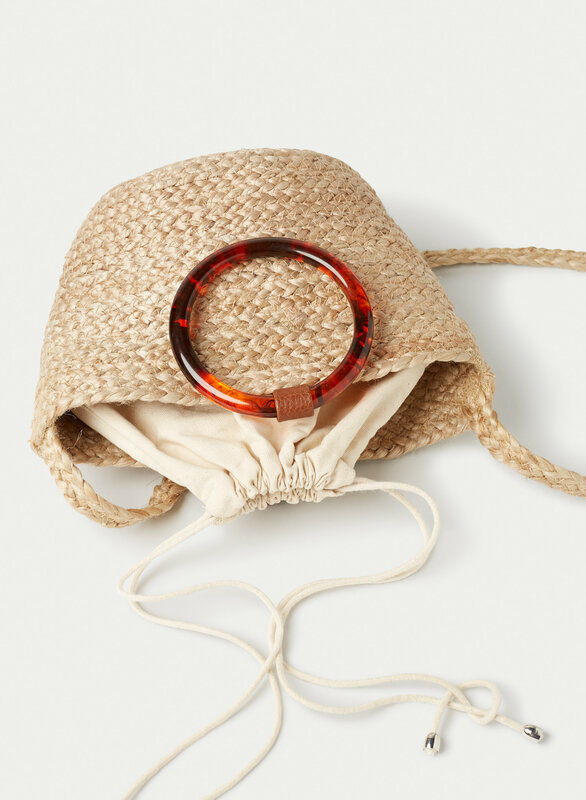 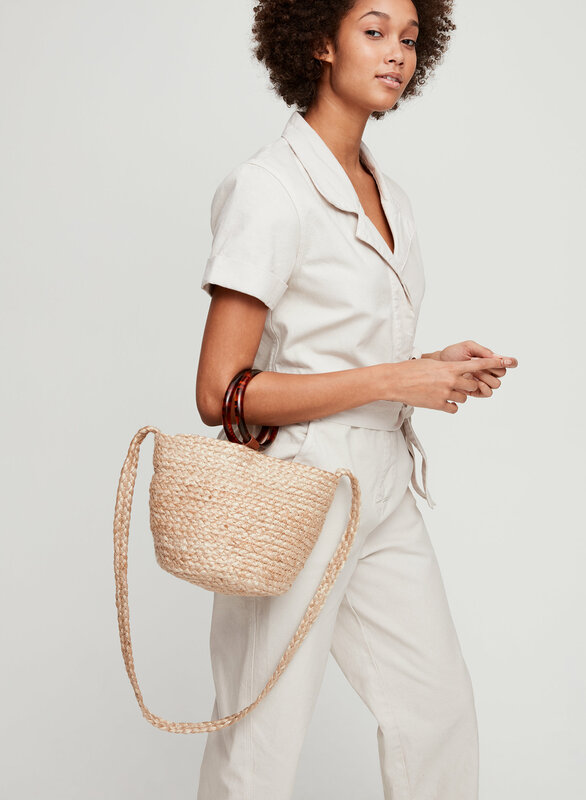 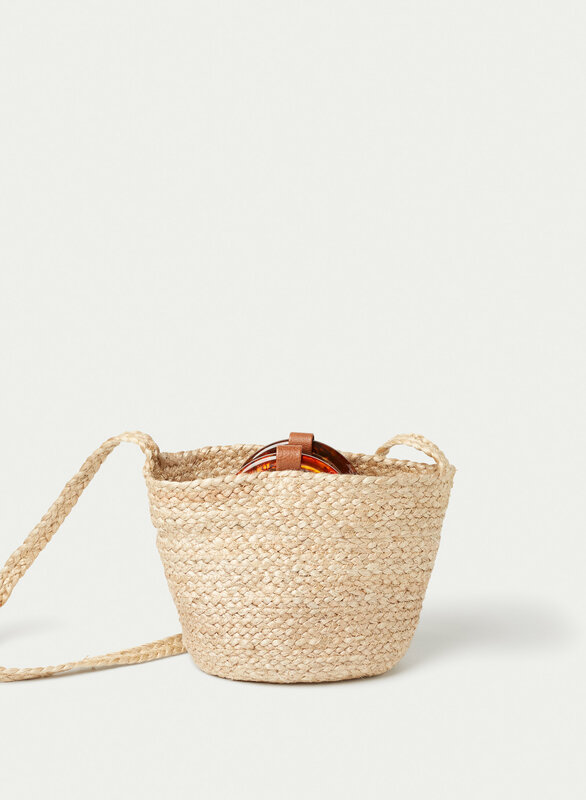 This is a hand-woven bucket bag with a round base, drawcord closure and round resin handles. 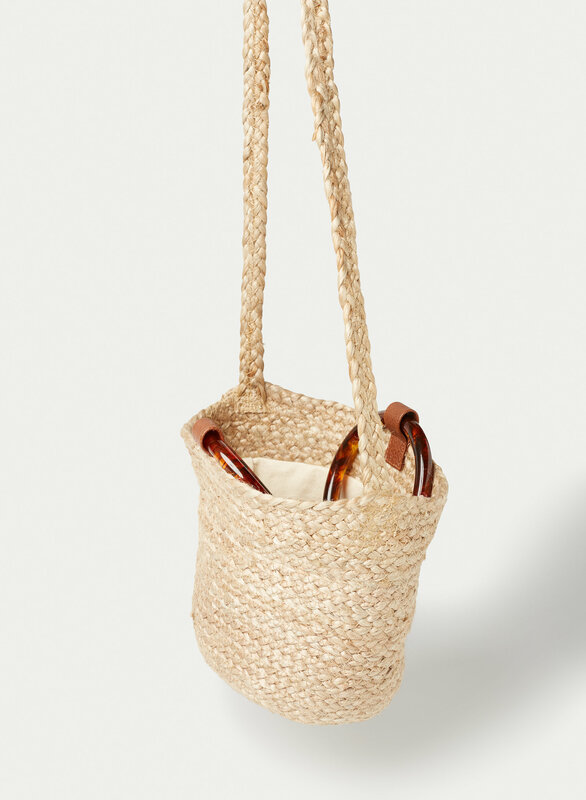 It's made with jute and has a 100% natural cotton liner.